How to pick three whiskies out of so many? It's a bit like being asked for your film or music album of the year – dependent on mood and occasion, and liable to change by the moment. Ask me this question in a week's time and you'll probably get three different answers. In the end, these were three whiskies that smacked me in the face (in a good way) for one reason or another. Two of them offer remarkable pleasure for not a lot of money, especially in today's overcooked whisky market. As for the other... Well, it's just bloody brilliant, even if most of us can't even afford to look at the bottle. Taking them in no particular order, let's start with Lidl's Ben Bracken 28 Years Old Speyside Single Malt. To say that this is amazing liquid for less than £50 is stating the bleedin' obvious – and I know there are people out there who have reservations about the budget retailer using its buying muscle to secure such stonking whisky at a ridiculous price. But we're to taste, rather than to judge business practices, and this tastes pretty darn good. 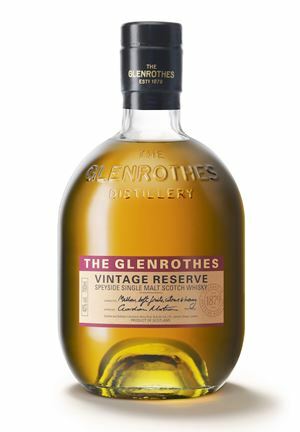 Anyway, you could argue that Glenrothes Vintage Reserve is even better value at under £40, for all its NAS mystery. I'm told by people who should know better that this is a mix of 10 vintages from three different decades, the youngest from 2007 and the oldest from 1989 (although I may have broken the law in telling you that). Whatever – this is a superlative example of expert blending, even if it isn't a blend. 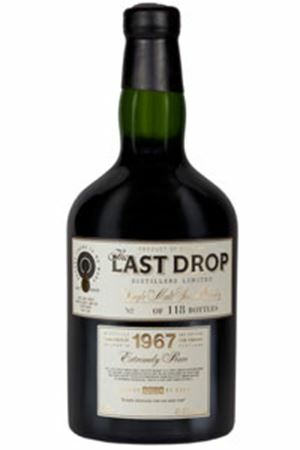 And then there's Glen Garioch 1967 from Last Drop Distillers. You can buy the first two of my picks and get a tenner back from £100, whereas this one will set you back about £4,600. But I don't care. There's not much in booze that's decent from 1967 (most wine is wretched) and it's my birth year, so I can't resist celebrating this remarkable whisky, one of the finest I can remember from any year. For particularly generous benefactors out there, it's my birthday at the end of next week. You know what to do. Fresh and expressive: honey, newly mown hay and the barn in which it will later be stored. Some pungent floral aromas of honeysuckle and jasmine, then wheaty notes with the unmistakable edge of age. With water, somebody’s been jumping around in the haybarn, sending seeds and dust flying. Water also conjures fruit, in the form of bright tangerine notes. The cereal notes come first, merging gently into animal feed and a farmyardy character. There’s a little curry spice to perk things up and, once you add water, more of that bright tangerine flavour and then the ripe tang of laced marmalade. Then honey and a little Madagascan vanilla. The heady hedgerow aromas round things off nicely. The star of the show for Lidl this year. There’s weight, there’s subtlety, there’s complexity and there’s outright pleasure. Simply beautiful. Hayloft, late summer, languorous heat. As you sprawl in the hay, a bee buzzes past. Plush, polished and lacquered wood, coated in rich, dark honey. There's a malty element here too, but the immediate impression is of opulence. After a pause, warm, overripe tangerine and plum come to the fore, with an edge of ginger. With water, the fruit opens up and freshens (slightly) into Sicilian lemon, alongside summer hedgerow scents. Lighter than the nose suggests: a citric lift, but then we're sinking back into that dark honey and descending further into molasse and fig. This is a comforting whisky with a soft, velvety embrace, but there's a sour fringe that doesn't entirely allow you to relax. Water dumbs down the richness and texture. Creamy, but given an extra perk by that edge of sour plum. A masterclass in how to construct a great single malt bottling, and one in the eye for anyone who thinks that reasonably priced NAS whisky is a con. Judge the liquid, not the (lack of a) number on the label! Alone in the grand library of a country house, lost in a book. A clock ticks resonantly... Then a creaking door. Is there someone there? Immediately, fresh-turned loam and damp grass with a hint of peat – not peat smoke, the peat itself – which gradually evolves into the pleasantly musty aroma of a deep, quiet earth cellar. The smoke is slow to emerge and, when it does, it's in the form of the distant smell of near-cold embers. Don't go anywhere for a while, because this needs all the time you have. Gradually, dry spices emerge alongside sandalwood. Nutmeg, cinnamon, well-matured Christmas cake. Water is utterly unnecessary. The nose is complex and fragile, but the palate is robust and structured. That said, this is a true whisky that delivers on the promise of the aromas in the glass: rich earth, cold smoke, sandalwood and spice. Then there's the delicate spiced tang of aged peat. As the smoke fades, hitherto unseen flavours emerge. There's an acidic bite which leaves you thirsting for more, before that smoke comes back for one last encore. Mind-blowing whisky at a mind-blowing price. If you can afford it (and find a bottle), buy it. A plough tills damp turf, its blades running deep into the peat-rich soil. To the side, the embers of last night's bonfire are still smouldering gently. 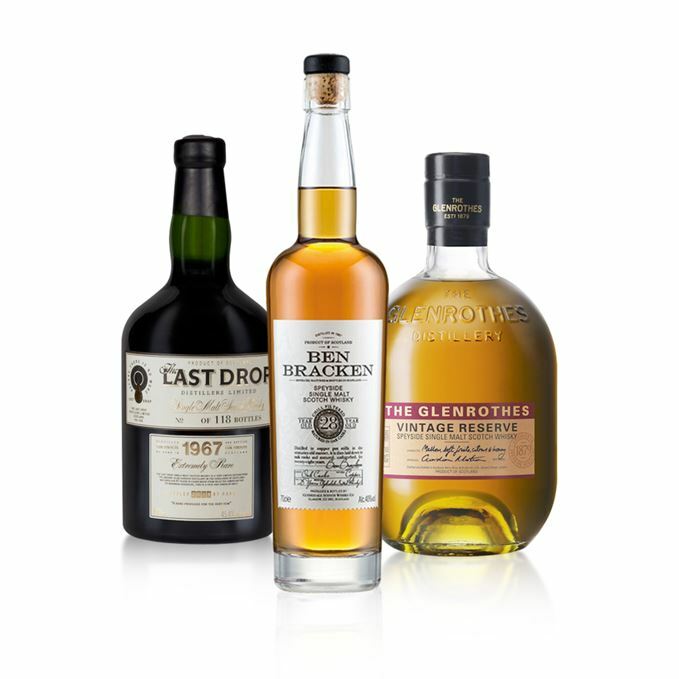 Whiskies of the year: Becky's picks 30/12/2015 Our editor, Becky Paskin, selects her top three Scotch whiskies tasted in 2015.